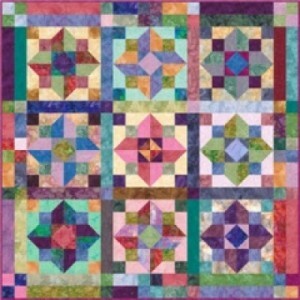 Not long ago, we blogged about some of our favorite lectures and workshops offered by QuiltWoman.com designers. So many of our talented designers are also teachers, we decided to feature more of them on our blog. If you are a guild member or shop owner who is looking to bring talented designers to your venue, take note. We do have teachers and they will travel! Here is our list of the best quilting workshops and lectures our designers currently offer. They also offer a workshop on creating their Urban Trilogy Handbag. This sleek, little bag pattern features both shoulder and cross-body wearing. Students learn how to add multiple outer and lining pockets (including two zipper pockets) and magnetic snaps. 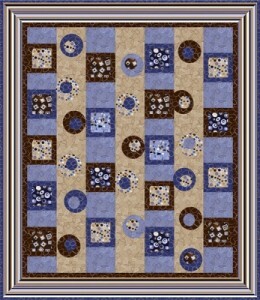 This pattern has a “trilogy” of variations that allows you to express your own creative story. If you are looking for a longer workshop, their Take It All With You Organizer Bag Class is two 5 hour sessions. 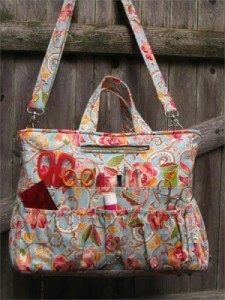 Attendees learn how to make this wildly popular tote bag that has over 40 pockets! Kindred Quilters also offers a trunk show featuring the many sewing patterns they have created, their business history, and a demonstration of the easy, pain free method of creating the zipper pocket used in many of their patterns. 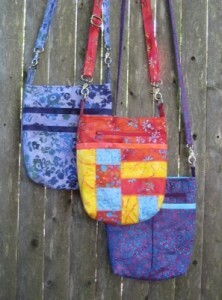 Kindred Quilters also enjoys vending at quilt shows and meeting fellow quilters. If you are interested in learning more about the workshops offered by Kindred Quilters, contact Lois and Shari at info@kindredquiltersri.com. Linda’s classes are fun and she has a special knack for making the seemingly complicated easy to understand. She has a passion for quilting that shines through when she teaches. 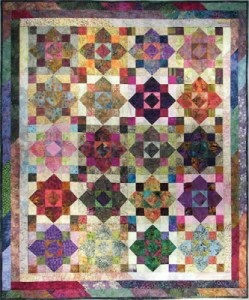 Linda offers classes that teach students how to make her quilt patterns that include the Bali Jewels Wall Hanging which is made from one package of Hoffman’s Bali Pops. If you are looking for a workshop that teaches students how to use up fabric scraps, the Junk to Jems workshop promises to be tons of learning fun. Linda is the author of two award winning books, New York Beauty Simplified and New York Beauty Diversified and she has had several designs published in magazines. She can be reached at lawnquilt@aol.com. Michele Scott’s trademark humor combined with her extensive quilting knowledge make any of her workshops or lectures well worth attending. 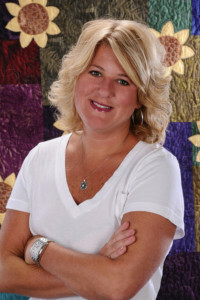 She currently offers lectures including her new one, “Every Quilt Tells a Story.” Delivered with Michele’s high energy and “done is better than perfect” attitude, she takes you on a journey through her 20 years of quilting. From machine and bobbin quilting to designing for magazines to getting your work published, this lecture is the ultimate compilation of her three lectures. If you are looking for workshops by Michele, you will not be disappointed. You can learn curved piecing in her “Curved Piecing Made Easy” workshop. Using one block (constructed by you), you will learn to sew curves easily and produce a fabulous wall hanging. This technique of using freezer paper is for anyone who wants the speed of machine piecing combined with the freedom to put their seams anywhere they choose. The paper eliminates stretching and accurately marks the seam line making curved piecing (practically) painless. For more information on her workshops and lectures, contact Michele at michele@piecefulquilter.com. Hopefully you see a workshop or lecture that you can bring to your next guild event or quilt shop. Thanks for joining us today! This entry was posted in Designers, Guilds, patterns, Uncategorized and tagged frog hollow designs, kindred quilters, Linda Hahn, michele scott, quilting workshops and lectures, the pieceful quilter. Bookmark the permalink. Please call, I am interested in getting an educator in our store.